Combat Ready Knives Grumpler DP. 4" closed linerlock. 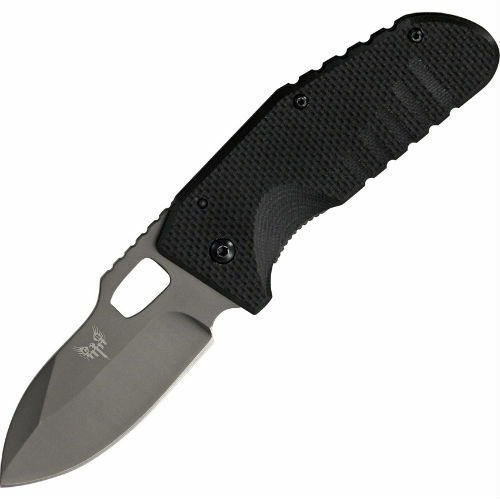 2 7/8" titanium nitride coated AUS-8 stainless blade with thumb slot and thumb ridge. Black grooved texturized G-10 handles. Black coated stainless pocket clip. Combat Ready Cuma Battle Cleaver. 15" overall. 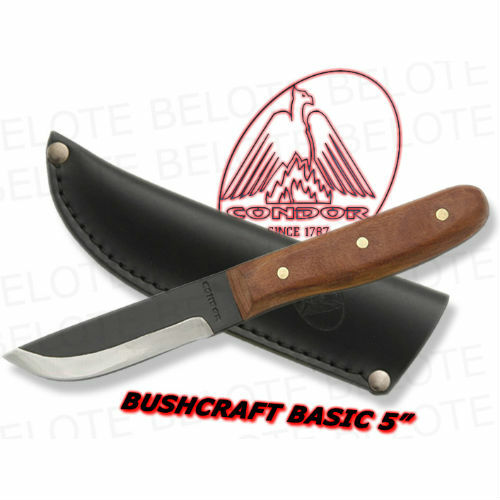 9 1/4" 5160 steel hollow ground beveled cleaver blade with flat tip and black finish. Full tang. Twin triangular shaped lanyard holes. Black G-10 handles. Black drop down leg holster with stability straps. Waysun "Johnny" Tsai design. Combat Ready Propaganda A/O Linerlock. 4 1/4" closed. 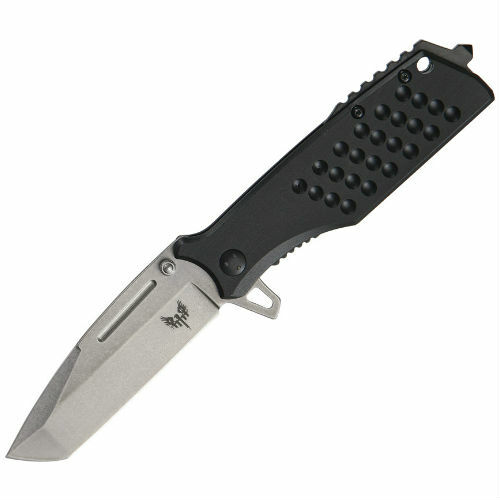 3 1/8" tumble finish AUS-8 stainless modified tanto blade with dual thumb studs and flipper. Black dimpled design aluminum handles with chisel/screwdriver pommel Lanyard hole. Black finish stainless pocket clip. Range Master Tactical Pen 6 3/4" overall. Black aluminum construction with knurled grip. Features working ball point pen and M-4 sight tool plus a straight screwdriver to adjust the sights on other rifles. Black finish stainless pocket clip. Designed by Justin Gingrich. Neck Knife 4 5/8" overall. 2" stainless blade with black stonewash finish. Full, extended tang with lanyard loop. Textured black G10 handles. Molded black composition neck sheath with black cord lanyard. 8" overall. 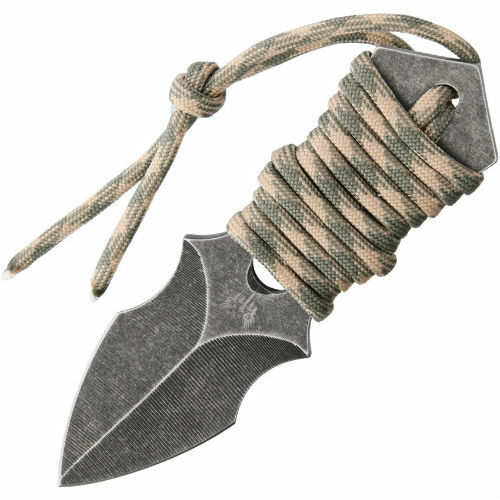 3 1/4" black stonewash finish stainless trailing point karambit blade. Integrated finger guard and ring pommel. Black textured G-10 onlay handles. Black molded belt sheath with lanyard hole. 5" overall. 2 1/4" double-edged blade. 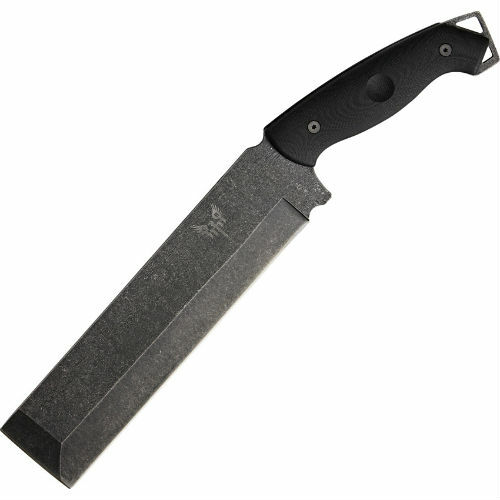 One piece black stonewashed finish stainless construction. Digital camo paracord wrapped handle and lanyard. Black Kydex sheath with ball chain. 5.5" overall. Black. 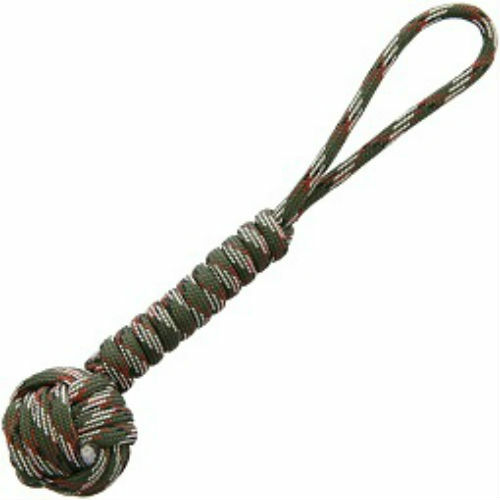 One end has a small steel ball which is covered with cord and the other end has a loop. Paracord construction. 5.5" overall. Woodland Camo. 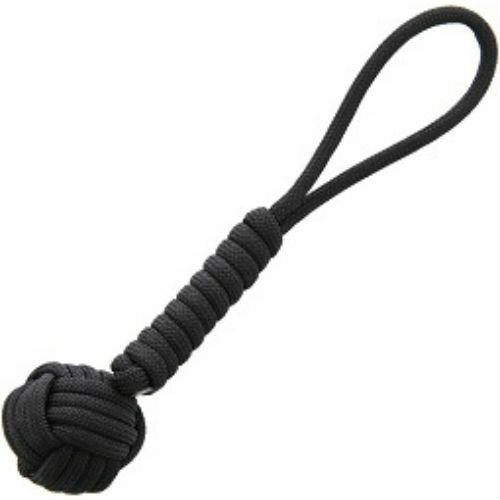 One end has a small steel ball which is covered with cord and the other end has a loop. Paracord construction.